Silva has a background as a technical writer and in addition to how-to articles she writes about cooking, travel, and personal experiences. Texas has the highest tiger-to-people ratio in the world. The exact number of tigers in Texas is unknown but it is estimated by many experts that there are at least 4,000 tigers kept by private individuals in Texas. That means that there are more tigers captive in Texas than roaming in the wild in India. I know it sounds unbelievable, but there are over 12,000 tigers owned as pets in the US and over 4,000 of them are in Texas. 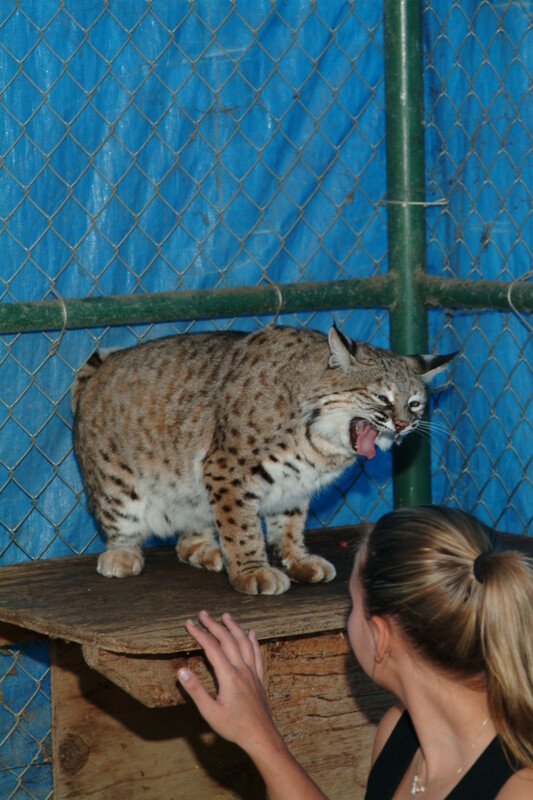 Houston alone has over 500 exotic cats being kept as pets by private citizens. I singled out Texas to write about because I am a native Texan. Sadly, the exotic animal trade is a billion-dollar industry in Texas—which has almost no regulation of exotic animals. The few laws that Texas has are rarely enforced. With such little oversight, the breeding and smuggling of exotic animals—tigers in particular—are booming in Texas. There are a lot of animal breeders and a lot of animal dealers. Because owning and breeding tigers is legal, law enforcement often has no recourse. Breeding can be lucrative. White tiger cubs sell for $5,000 each. Since tigers can have two litters a year of eight cubs, a breeder can earn $80,000 a year. Many of these white tiger cubs are sold to small businesses that travel around the country displaying them as props and charging tourists to take pictures with them. 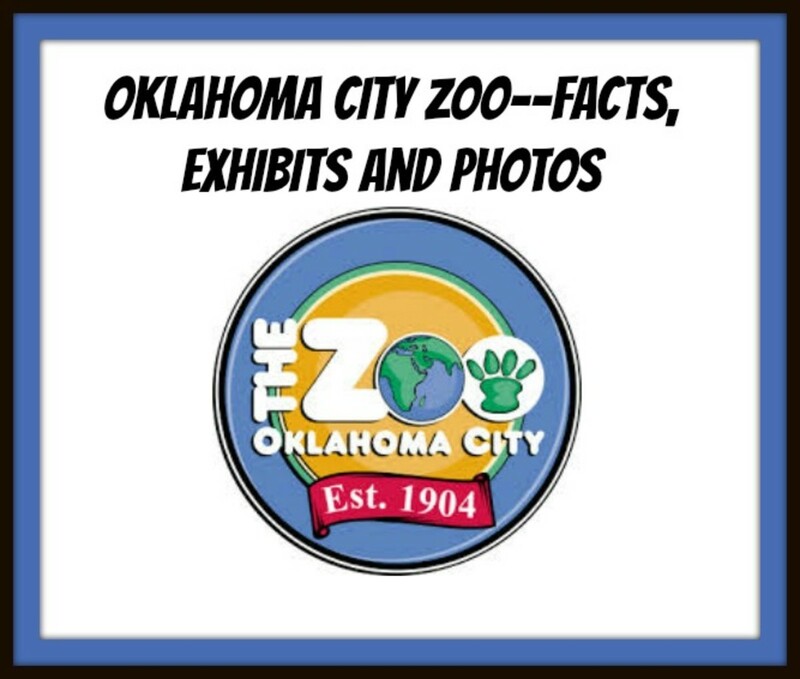 Traveling petting zoos that feature baby lions and tigers are a huge source of exotic animals. Since the animals are only suitable for petting between the ages of 8 and 12 weeks, the operators of these attractions must keep breeding them to stay in business, said Carole Baskin, the founder of Big Cat Rescue in Tampa, Fla.
"When they can't use them anymore, they become this $10,000 a year liability. They will give them away, sell them, no paperwork," Baskin said. "Then (the buyers) call us and say, 'I can't deal with this carnivore.'" "If you want to place a big cat, I would tell you that every reputable sanctuary is full and more than full," said Patty Finch, executive director of the Global Federation of Animal Sanctuaries, an accrediting body. The number of abandoned and seized tigers reached epidemic proportions about 10 years ago. A federal law prohibits businesses from displaying tigers older than six months with humans because the cats have become too big and dangerous. So the businesses buy another set of cubs. At least 20 small-time operators in Texas would need eight tiger cubs to work throughout the year. In five years, that would total 800 tigers. Tigers are not difficult to breed in captivity. Innovations in tiger cub formulas, diet, and vaccinations have spurred tiger breeders’ success. Many breeding operations turn out white Bengal tigers because they are novelties that generate 10 times more money than orange tigers. (White and orange Bengal tigers are the same species, but white tigers have a double recessive genetic condition.) Breeders and exhibitors use the excuse that white tigers are an endangered species so they need to keep breeding them. This is false. Breeders of white tigers do not contribute to any species survival plan; they are breeding for money. When breeders are trying for white tigers, they sometimes just keep the white ones of the litter and destroy or neglect the orange ones. There are registered breeders in Texas who have USDA licenses. There are also numerous private owners who have a couple of tigers in their backyard. They are not considered commercial breeders, so no state or federal agency keeps tabs on them. It is truly frightening the number of people who are breeding these animals. From Lubbock Online, "In Yorktown, Texas, 10-year-old Lorin Villafana was in the cage with her stepfather when one of his tigers went for her neck and killed her." This is just one example. During these tough economic times, what does a person do when they have a pet tiger that costs thousands of dollars a year just to feed and that person gets laid off work? There are the vet bills, and the day-to-day cost of maintaining a habitat for a tiger. A tiger in captivity needs a huge space in which to roam. They love to spend time swimming. They can jump forward 14 feet or so, so their area needs to be separated by a ravine. A tiger’s lifespan in captivity can be 25 years or more. If you own a tiger, you will have to have a veterinarian on call who has already agreed to take care of your cat. There are not many with experience and fewer still who want to deal with the liability of having their staff and their clientele exposed to your big cat. You will have to have a stainless steel squeeze cage that is capable of holding your cat at its maximum weight. You could easily spend $2000.00 for one big enough for a tiger. You will need a forklift to move a tiger and they rent for $300.00 per day with an operator. No vet will bring a big cat into their office unless it is already confined to the squeeze cage. How will you transport your cat to the vet for all of its yearly vaccinations, checkups and injuries? Its squeeze cage isn't going to fit into your car. You will need a van in tip top shape because being stranded on the side of the road with a tiger is not an option. All wild cats, neutered or not, male or female, will spray bucket loads of urine all over everything they wish to claim as theirs. This is how nature has taught them to guard territory. There is no way to prevent this behaviour. The urine is caustic and will destroy their cage walls in a very short period of time, so you will be constantly rebuilding. You can’t imagine what it does to the sheet rock walls of your house or to wood. Those trips to the vet will leave your new van smelling like a sewer and nothing will get that smell out. Once tigers are mature they no longer feel any love for their mother and if they run into her in the wild they will kill her. 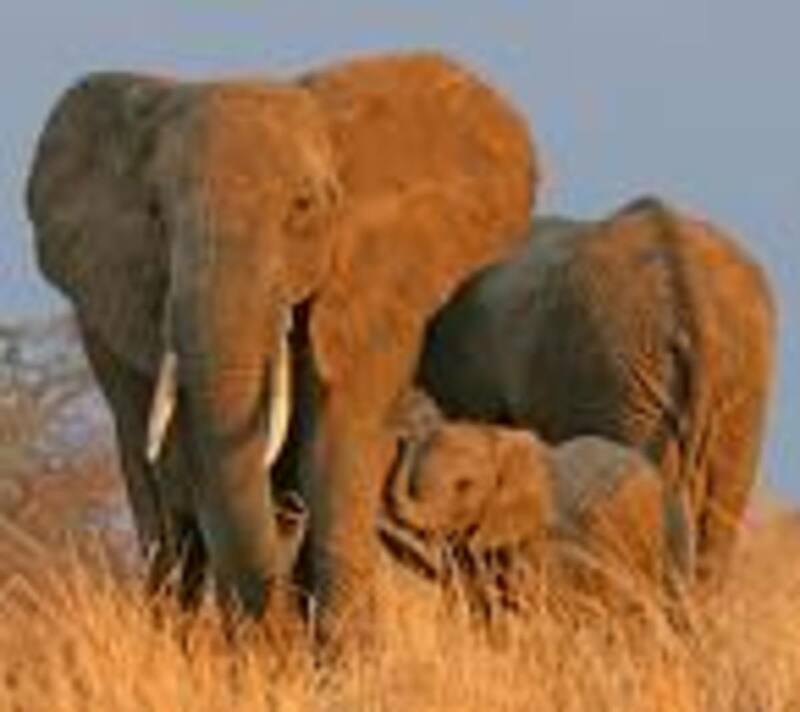 Even if you raised them with all of the love and nurturing that their natural mother would provide (and she would die to protect them) they will not feel love or respect for you when they are full grown. Instinct tells them that you are competition and that their survival depends on being solitary. You will never be able to legally move long-distance with your big cat because the captive Wildlife Safety Act prohibits moving big exotic pet cats across state lines. Many progressive states are banning the practice of keeping wild cats captive. It is a rare individual indeed who has the financial resources, the stamina, and the dedication to keep these animals well-fed, clean, with plenty of room for freedom of movement, and at the same time, safely away from the human population. An owner might just give up and turn the tiger loose or move away and abandon the tiger to starve or escape. Texas is running out of zoos and sanctuaries that can take animals that are abandoned by their owners or seized in illegal smuggling rings. The burgeoning tiger population has dangerous consequences for public safety -- you might have a pet tiger living down the block -- not to mention the health of the tiger, forced to live in poor conditions. 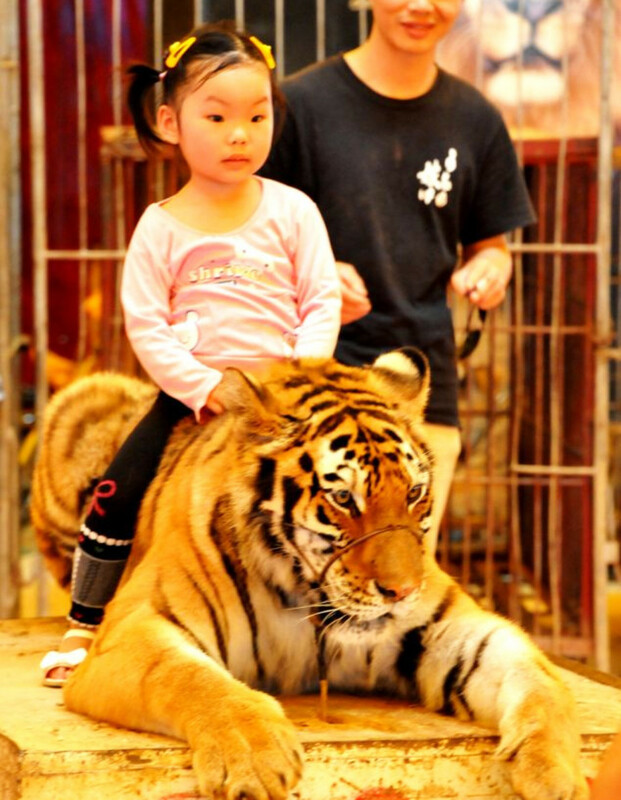 A glut of tigers in an unregulated market can mean tragedy for the animals. Where are all of these tigers going to go? There are few places for tigers to go when their owners abandon them. For many years, Texas had no regulation of dangerous wild animals. But after a series of high profile maulings and deaths were reported in the media, the nonprofit Texas Humane Legislative Network prodded the Legislature to pass the Dangerous Wild Animal Act in 2001. 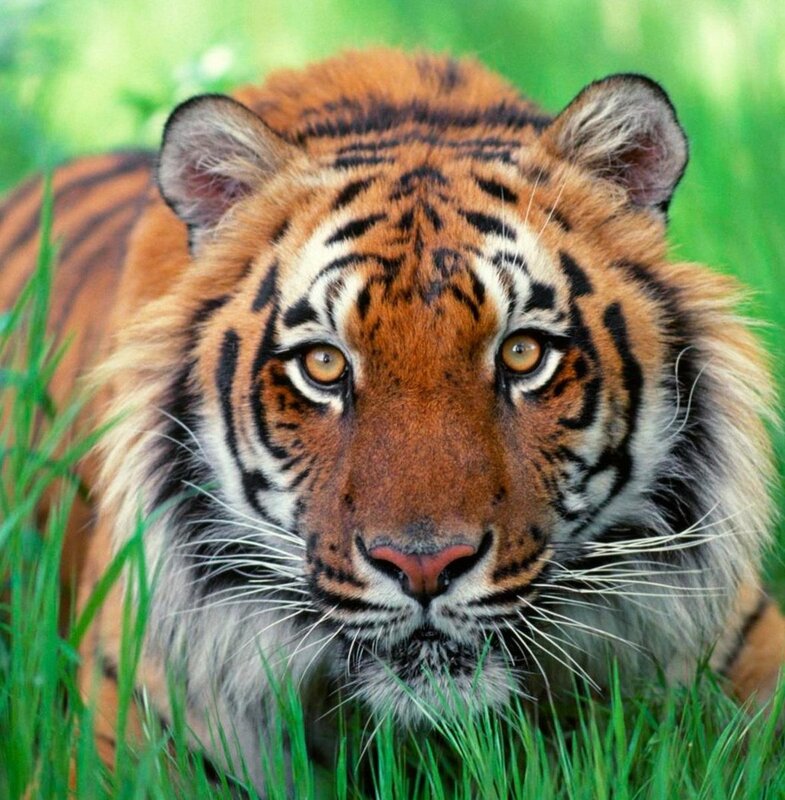 The law requires counties and cities to register dangerous wild animals such as tigers with local animal control. It mandates that the owner keep the animal in a secure enclosure of adequate size, humanely care for the animal, and maintain at least $100,000 in liability insurance. It also gives cities and counties the option to ban private ownership of wild animals altogether. Since the bill became law, fewer than half of Texas’ 254 counties have enforced the legislation. Some counties feel the responsibility should fall on a state agency. The local authorities say that they don’t have the resources to handle lions and tigers and cougars. So they are not going to enforce it. It becomes a property rights issue for people who believe they should be able to own anything they want. You may find out that a guy two miles down the road from you owns a couple of tigers when a neighborhood child walks up to the fence and is injured or killed. Tiger cubs are cute and cuddly. However, tigers reach adulthood within 2.5 years. Siberian tigers, the largest of the 6 remaining subspecies, grow from tiny little cubs to HUGE adults weighing up to 850 pounds and 11 feet or more in length from nose to tip of the tail. Most of their growing is in the first 18 months where growth is rapid. Most other tigers weigh on average 650 pounds, possess phenomenal strength, can leap forward 14 feet or so, have 2 inch canine teeth and enough bite force to easily crush your femur, and 1.5 inch claws. They can jump on your back and bite you in the neck (it could even be a play bite), severing your vertebrae and killing you instantly. Tigers, no matter how cute and cuddly they look, can kill you easily. They are incredibly strong and unpredictable and can kill you even when they are playing. Incidents continue to occur throughout the U.S. After the incident in eastern Ohio in October 2011, the Humane Society of the United States urged Ohio to "immediately issue emergency restrictions on the sale and possession of dangerous wild animals. " Update Feb. 6, 2013 -- SARASOTA - Over the weekend, a 35-year-old tiger trainer lost his life in Mexico when one of the big cats attacked him during a circus performance. Alexander Suarez died from bite wounds and a loss of blood. A member of the crowd managed to capture the attack on camera. The video has since gone viral. "How many incidents must we catalogue before the state takes action to crack down on private ownership of dangerous exotic animals?" Humane Society Wayne Pacelle asks. The only way to save tigers from being overbred and abandoned and at the same time keep the citizens of Texas and other states safe from tiger attack is to make it unlawful for private citizens to breed or possess a tiger. Friday, April 22, 2016: CONROE, Texas -- Animal control officers have captured an apparently domesticated tiger that was spotted roaming a residential neighborhood in a South Texas city. The Conroe Police Department says it received several phone calls Thursday from residents who saw the young, female tiger wandering around the city. Conroe is 40 miles north of Houston. As you say, Tiger hater, nobody knows -- there is no way to know for sure, estimates by knowledgeable individuals are all we have. Thanks for stopping by and leaving your comment. Ummm... They are being traded illegally, do you think the estimated amount of drugs on the street is right or the number of estimated illegal firearms....No nobody know!!!! It could be high it could be low, either way it is only a matter of time before they start escaping and breeding and hunting in pairs. New research has shown that tigers are way less solitary than we thought( animal planet). You have to be an idiot to keep a tiger and with idiots comes mistakes in the form of escaped tigers and human death. None of those organizations conducted any studies, they are repeating figures that are not based on any evidence. I have shown you that the Feline Conservation Federation HAS conducted a study. Your article is spreading misinformation, that is my objection. Are you interested in the truth? The Humane Society is an animal rights organization that has a reason for spreading such misinformation. I completely agree that tigers should not be purchased on a whim, but please correct the misinformation. In 'A Research Framework for the Geographic Study of Exotic Pet Mammals in the USA', Gabrielle C. Tegeder called the Humane Society, and they were unable to point out where they got their information from. knowledge”. The USDA said that they did not come up with this number, and got what information they had on national captive tiger populations from the HSUS. The AZA never returned my email, nor did the In-Site. " and many others. It is difficult for a credible organization arrive at a figure through a valid study when regulations are not followed and tigers can be bought in parking lots and at flea markets. I'm not sure what your objection is to my article -- I want to see animals treated humanely and the public to be safe. I am simply trying to get the information out there that for an individual to own a large wild animal such as a tiger is not something to be entered into on a whim; that there are requirements such as adequate space, enclosure, transportation, vet care, food, water and so on, and that it requires dedication and lots of money. No where in that quote does it say only breeders need to be registered, it says tiger owners. And USDA facilities form the significant majority of tiger owners. This is probably why, according to my own research, most fatalities occur there. So my next question to you is this, where are you getting your information from? Why do you think you know more about this subject than those who have done the research and surveying? Can you provide a link to a credible organization that has arrived at that figure through a valid study? There are registered breeders in Texas who have USDA licenses. There are also numerous private owners who have a couple of tigers in their backyard. They are not considered commercial breeders, so no state or federal agency keeps tabs on them. The Texas Dangerous Wild Animal Act requires counties and cities to register dangerous wild animals such as tigers with local animal control.....Since the bill became law, fewer than half of Texas’ 254 counties have enforced the legislation. Some counties feel the responsibility should fall on a state agency. The local authorities say that they don’t have the resources to handle lions and tigers and cougars. So they are not going to enforce it. "The Feline Conservation Federation (FCF) performed a limited study of a similar claim about tigers in Texas, in 2011. They investigated claims of several self-proclaimed “animal rights” organizations that champion the welfare of animals which claimed anywhere from 2,000-5,000 tigers in captivity in Texas alone (FCF, 2011). The FCF conducted a systematic cataloguing of all tigers in Texas by contacting all zoos, USDA licensed facilities and county offices to determine the number of tigers actually present. Since Texas requires all tiger owners to register and license their animals with their county, this was possible for this one animal. Their findings indicate that there are a total of 312 tigers known to live in Texas; 107 in sanctuaries, 36 in zoos, and 169 owned by a combination of USDA licensed exhibitors and private owners (FCF, 2011). That is only 6% of the estimate of 5,000, and about half of those were listed as living in zoos and sanctuaries. If we make an assumption that the national estimate by PETA of 20,000 is inflated in a similar manner, we can loosely say that this number is substantially less. Knowing that tigers are legal to own in Texas, but illegal to own in many other states, this suggests that the lowest estimate of 12,000 pet tigers might be closer to 360 total animals held by private owners (this excludes zoos, circuses and sanctuaries, but may include USDA licensed breeders or exhibitors as well as individuals)." It's really amazing when you think about it, that there aren't more bad incidents! I don't like the idea of people trying to own large carnivores either. I really don't like the idea of people having these large carnivores. Even the most tame animal can have a bad day. My darling 18 year old house cat has gotten grumpy as he has aged because he just does not feel as good as he used too. I have other cats who are very young and when they play with me they sometimes get a bit rowdy. I just cannot imagine those same types of situations occurring on a grand scale the size of a tiger. Any intelligent person knows that even small pets can cause an injury no matter how loving their environment. Now consider the number of domestic pet owners who are really bad owners and imagine those same type of characters obtaining more dangerous animal...yikes! I see it as more of an ownership problem. Sellers should ensure proper liscencing before selling the animal. And as for the captivity, there are more in Texas than India. The Texans and all other owners are probably doing more good than anything. This helps prevent poaching for the pelts and teeth. These animals that you feel sympathy for, would probably be dead in the wild and sitting on someone's floor as a rug. You are very welcome. I did enjoy this hub about my favorite animal. Do keep up the great work. I promise you that with diligence, you will touch a lot of lives. Thank you so much for your wonderful comment, Mr. Avery. I agree with Linda -- I don't believe I contradicted myself; I said that if a multi-millionaire chose to keep tigers and had a stone wall, electric gate, and a professional staff, "that's legal ... .... I don't particularly want to live anywhere near him ... .... I have no recourse." I believe in using common sense. No matter how much money someone has, power grids might fail, mechanisms like gates and alarms sometimes fail. Staff sometimes can't be trusted. Accidents happen. My point is that it's still legal for people to own and breed tigers in tigers in Texas and perhaps it shouldn't be, since some of them are not educated or qualified or responsible enough to do so. Texas is increasingly urbanized and over-crowded just like the rest of the world and common sense would dictate that the fate of large dangerous creatures such as tigers should not be in the hands of private individuals who may be uneducated, unqualified, or irresponsible. That includes the multi-millionaire with the big wall. People's circumstances change. Our example millionaire will grow older, he may make bad investments and lose all his money, he may become ill. Provisions must be made for his tigers. Where will they go? The sanctuaries are full. Thank you for your interest and comments, Melissa. You wrote: "Hear, hear, Linda! Common sense rules. Thanks for the comment." In response to Linda's comment which stated: " I don't care if he has 100 million in the bank and a 30 foot cement wall! " Completely contradictory to what you are telling me now. I do agree that people with unsuitable situations should have no business acquiring large wildlife. The comment "If you cannot afford to give a tiger the space it needs to roam and exercise, then don't keep one!" sums up my opinion. My hope for this article is to get people to think and re-consider their impulse to buy a tiger and keep it in less than ideal conditions. I hope to dissuade an ordinary citizen, with less than adequate financial resources, from attempting to keep a large wild carnivore in a plywood and chicken-wire cage in his backyard. I am hoping that anyone with that intent will do a little research first and come across this article and read about diet and exercise and water features and squeeze cages and vet requirements, and realize that, hey! perhaps I don't have the resources to adequately care for this creature. I don't understand why anyone would have a problem with that opinion. I am speaking of Individuals who can legally keep a tiger in their back yard without adequate facilities. We have read, in the news, or seen, on TV, of tigers and other wild animals, found Abandoned and Starved because some Unreasonable Fool decided to keep them to feed his or her ego and then became unable to care for them. This can happen due to age, finances, death, illness, or any number of reasons. My opinion on this subject takes into consideration Everyone's safety and comfort, both humans and animals. No one can imagine the fear and pain and frustration a large cat endures, when it does not have clean living quarters with enough room to roam, and some kind of large water feature for its comfort, and plenty of the right kind of food to eat. Even with all that, it is still a prisoner and that's sometimes an unavoidable condition due to the over-crowded world we have inherited. I'm saying that it's wrong, given the facts, to deliberately breed these creatures in captivity, use them when they are babies as crowd-pleasers, and then sell them cheaply or give them away with no concern whatsoever for their welfare. I cannot understand why anyone would have a problem with my concerns. Looking for the best solution for everyone, humans, animals, all of us. If a multi-millionaire has the resources to build a high stone fence with an electric gate and have professionals on staff to care for his private zoo, then that's legal and its his business and while I don't particularly want to live anywhere near him (because accidents happen), I realize that I have no recourse. I am appealing to the ordinary guy who "thinks" it would be cool to have a tiger cooped up in his back yard to show off to his grandkids when they come to visit. I hope that, if he reads this article, he will think twice about all that's involved, and not keep a magnificent large wild creature penned up to lead a hopeless, miserable life. Common sense and reason? I certainly do not see any of that. I see hysteria from people who know nothing about this subject, that is what I see. Close-minded comments from people who take things at face value. If that is your idea of 'reason' then it is no wonder you've created this article rife with false information. I can refute such comments with no difficulty. "My families safty is worth much more than your ego trip." No big cat has ever escaped and killed a person uninvolved with it in the United States. Never. EVER. Most of the very small number of victims are the owners themselves, or visitors to their property. This happens on average less than ONCE A YEAR. When you climb into a car, your chances of dying are insurmountably higher. So Linda's hysteria has no basis in reality. NONE whatsoever. So go on, keep telling people they are the 'voices of reason', even though you know they are wrong. It is a stone cold fact that they are wrong. Reasonable people do not deny irrefutable evidence. Thanks, Laurence, another voice of reason! I applaud the efforts of private individuals to keep the endangered tigers and help save them from extinction. However, people need to recognize they are WILD animals and cannot be tamed. Their function is to kill, hence they will always be dangerous. If you cannot afford to give a tiger the space it needs to roam and exercise, then don't keep one! Hear, hear, Linda! Common sense rules. Thanks for the comment. My comment is simply short and sweet. No wild, dangerous animals, should ever be kept on private property, owned by private individuals, live in residual neighborhoods in somebodies backyard, not even their thousand acre ranch. I don't care if he has 100 million in the bank and a 30 foot cement wall! These are killers and man eaters. We see it happening all the time on TV, and I don't even need to see it on TV to have sense enough to understand why. What is the owner going to say to the childs mother, after it somehow got out and killed and destroyed her child? Gee, I'm sorry? I took all the right precautions? Freak accident? What crap! My families safty is worth much more than your ego trip. You want to blow your money on your inflated ego, go spend a half million on a nice jet, or super expensive automobile, then drive only yourself into some mountainside. Just don't endanger the rest of us. Spend some to put these animals back into their own forests and let them be free as they are meant to be. Not here. I own 2 tigers. Stop giving us bad names! I feed and take care of my tigers! I'm releasing them back into the forest behind my house when they're old enough. Vicki just email me that she saw an ad for tiger and lion cubs on the Wichita Falls, Texas Craigslist. I agree, Vicki, Texas is surely a strange place! Until you get proof of otherwise, you should assume that rabbits are included in the exotic figure, as they are considered exotic animals. Vets who see rabbits, hamsters, and guinea pigs call them "exotics". I'm unable to find which animals that figure refers to, and I know they are agenda-driven and will be totally vague about it. Animal smuggling is also easy to avoid supporting. I'm sure that is also a small percentage. I only buy mammals and birds from breeders. Wild caughts make poor pets anyway. Smuggling animals is illegal and having young children around tigers is also probably illegal, so no one supports that anyway. Sadly, the exotic animal trade is a billion dollar industry in Texas. The trade involves big cats as well as other animals. 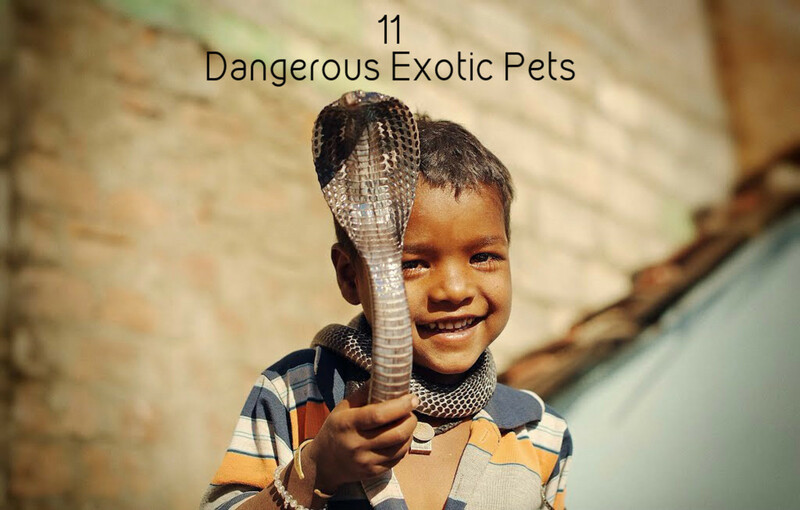 Tiny birds, lizards, snakes and mammals are smuggled in and many of them are smothered due to being cleverly hidden inside clothing, cars and luggage. The smugglers have no respect for life; just the almighty dollar. I have not heard that rabbits and guinea pigs are included in the figures. My main concern is for the safety, comfort, and well-being of all the life forms involved -- tigers being an extreme example of an exotic animal that is exploited and disrespected while at the same time, human lives are put in danger sometimes without warning. A child being carried into a tiger's cage by an ignorant poor excuse for a grandpa or step-father is one example of this madness. Thank you for your comments. "Sadly, the exotic animal trade is a billion-dollar industry in Texas". You make this sound as though this trade involves big cats. This "billion dollar industry" consists of hundreds of species of animals, and it most likely tallies animals like rabbits and guinea pigs as well. So why mislead people? Why is it so wrong that there is an industry for other pets aside from cats and dogs? Private owners of big cats/bears/apes are uncommon. Furthermore, just because a state 'allows' these larger exotics doesn't mean that most counties/towns/cities will. North Carolina, which I thought was a lenient state, has multiple counties who will not tolerate my ferret-sized genet partly due to the sentiment that is exhibited in this hub. I can imagine the same is for Texas, and especially the more populated parts of it. I'm tired of people accusing this country of acting like it tolerates tiger ownership by normal people. It does not. All it takes is a single incident for more counties to fall. Certainly some counties still need to work on their legislation regarding the matter, despite it not being common, but it always ends up leading to ignorant and malicious bans for the rest of the public with smaller exotic pets. The few people who do not live close to people and are qualified to care for larger exotics also don't deserve to be dictated by other people, imo. Thanks for posting Tigers in Texas. I wish we could track that and have the person arrested, really - but "the law" isn't being broken, I suppose. Ugh. Just got a comment offering any type of tiger for sale, small or big. So sad. Probably happened because of the artificial situation. But if it happens in the wild we probably would never know abut it. Thanks for stopping by, Mr. Shaw. That's interesting for sure - I wonder if that kind of thing only happens in zoos due to confinement? Here's an unrelated but highly interesting news article from Reuters - September 9, 2011, El Paso, Texas - A female tiger has killed her mate at a West Texas zoo, authorities said on Friday, in a rare attack that came after months of simmering jealousy in a feline love triangle. Three-year-old Malayan tiger Seri killed 6-year-old Wzui at about 4 p.m. on Thursday in an enclosure at El Paso Zoo. "Tragic incidents such as this are not unheard of but we don't consider this common," zoo Director Steve Marshall said. Seri and Wzui were on loan from other zoos as part of the American Zoo Association's Species Survival Plan to aid in their conservation through captive breeding. Marshall said keepers had not observed any signs of aggression leading up to the attack, and that the two cats had been seen playing affectionately at the exhibit earlier in the day. However, in June, zoo authorities reported what they called a "tiger love triangle" between Seri, Wzui and a 15-year-old female called Meli, who was transferred to El Paso from a zoo in Fresno, California, in 2001. "The male tiger Wzui likes both females, but the two females don't like each other," the zoo said in a press release dated June 14. Terrible about that little girl -- I'm sure your friend was not joking about seeing the lion. This goes on more than we know; it's amazing how many people think it's cool to have a captive large wild animal and they're not qualified to keep it safe. Scary! WOW! I don't remember that...but I was in Dallas County that year. I recall some people that had a mountain lion in a cage at their house though, and a little girl who lost an arm...she'd wanted to pet the big kitty. Another story - I've got a friend who SWEARS that once he saw an African Lion dead on the side of Highway 175, he said he and his dad took an exit and went back around ...to see it again. I remember reading about a tiger attack in Kaufman back in 2006. The landscape worker who was attacked had around 2,000 stitches, but he did survive. Thanks for visiting. Yup. I tell people about this....and they probably don't believe me. I'm in Kaufman, Texas - and we've a big cat refuge here outside of town! I've been researching this for 12 years. When statements are made by reliable officials and news is reported whether by television, newspaper, or internet, and the same statements are made over and over again about this problem, it seems to be a real problem. This situation not only in Texas but all over the world is tragic for the animals and for vulnerable citizens and I feel it can only be useful to bring it to the public's attention. I would never knowingly pass along false information. Here are some of the basis for the article. It is estimated that there are at least 4,000 tigers legally owned by private individuals in Texas. There are more tigers captive in Texas than roaming in the wild in India. By saying legally owned, I am assuming you mean they are registered with the counties, or are USDA licensed. Since only 300 tigers are registered with those agencies, I am wondering what kind of research you did to back up this statement you answered Subscriber1? Sad, isn't it? The statement is true, or close, because I did lots and lots of research before I wrote this article. IF you mean you read it on the Internet and you are once again repeating it, when there is no basis of fact, please state that. That is not research. That is pasing along false information. I'd feel safer with my neighbor owning a tiger than I would if they owned pitbulls. I totally agree with you, MrGreywolf38. I don't enjoy seeing animals in captivity. I wish the world (the man-made world) was different, better and kinder to all God's creatures. Tigers are amazing, powerful, beautiful beasts. Orange and white tigers are among my favorite cats and it saddens me to see them kept in captivity. Eerie thought, RTalloni. I can see that happening . . . Brings to mind the prophecy of wild beasts eating people in Revelation ... and how it could come to pass. Crazy world sometimes, isn't it? You make a good point there, whatdoesitmatter. I love how you can own an animal that weighs up to 800lbs, can leap 14ft, and have 2" canines that can crush your femur. But if that animal were a 60lbs pit bull with normal dog sized teeth, and normal dog sized jumps we would be up in arms if one even looked at us. Sad, isn't it? The statement is true, or close, because I did lots and lots of research before I wrote this article. I have been concerned about tigers in Texas for about 10 years. Two tigers escaped from their owner's pen about two miles down the road from us. They were captured and relocated. Can you imagine being a deputy sheriff and receiving a call about two tigers roaming free in a residential area? Then there have been several instances of children being maimed or killed by tigers being kept in grandpa's back yard, etc. In one case where the tiger escaped from it's backyard pen, the pen was shown on the news, and it was just cobbled up, looked like a chicken coop, and the roof was simply sheets of plywood laid over the top with a couple of bricks to hold it down. Well, of course the tiger simply swatted the plywood off with one paw and then leaped out and took off. What has been happening more and more is that some idiot aquires a tiger, realizes that it's too expensive to keep, or just too much effort, and then looks for some exotic animal shelter to take it in.